BALTIMORE (CNS) — Although the U.S. bishops did not vote in November on proposals that would have created procedures for handling allegations against bishops of misconduct or improper supervision, bishops in the Archdiocese of Baltimore will be subject to a policy approved in December by the archdiocese’s Independent Review Board. At the bishops’ request, the review board, which assists the Archdiocese of Baltimore with child protection efforts, created a Bishop Reporting Initiative to ensure proper reporting of allegations against bishops, believed to be the first of its kind in the nation. — Or engaged in activities that constitute seriously negligent supervision or an improper cover-up relating to alleged child sexual abuse by others within the archdiocese. 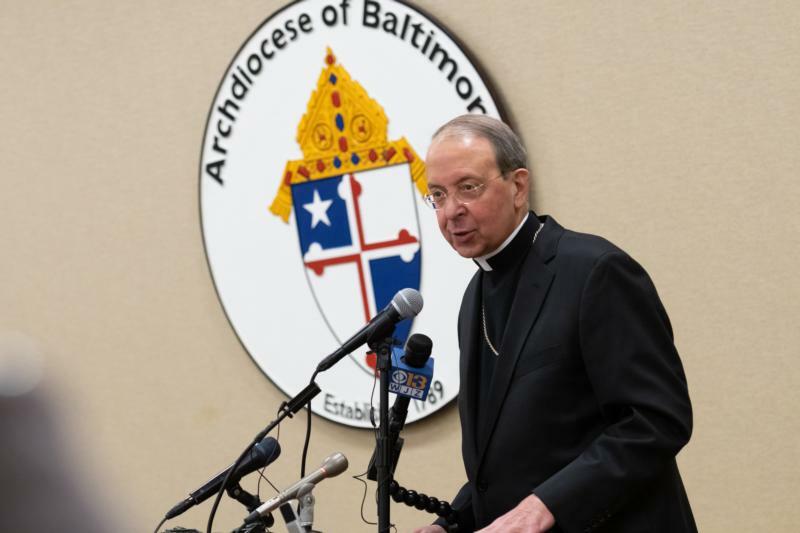 At a news briefing Jan. 15, Baltimore Archbishop William E. Lori said if the Vatican or the U.S. bishops create a policy regarding bishops, the archdiocese will use whichever standard is stricter. “This is not ever going to ratchet down; this is only going to ratchet up,” he said. Although the “Charter for the Protection of Children and Young People,” adopted by the U.S. bishops in 2002, mentioned only priests and deacons, the archdiocesan policy created after the adoption of it was always presumed to include bishops. Those who staff the current archdiocesan reporting hotlines — in the Office of Child and Youth Protection and via EthicsPoint, a portal for reporting unethical or illegal activity — will be instructed that allegation types mentioned above must be forwarded first to both Murphy and Heller and not to others within the Archdiocese of Baltimore. Heller told the Catholic Review, Baltimore’s archdiocesan news outlet, the policy might be modified or superseded if the Vatican issues other policies regarding bishops after Pope Francis meets with the heads of national bishops’ conferences at the Vatican in February, or after the U.S. bishops meet again next June. Deacon Bernard Nojadera, director of the Office of Child and Youth Protection at the U.S. Conference of Catholic Bishops, said he was aware of a proposal that would empower the nation’s metropolitan archbishops to examine accusations made against bishops in their regions, assisted by existing review boards. The new Baltimore policy has some of those elements. The archdiocese’s Child and Youth Protection page and EthicsPoint materials will be updated to reflect the new information and processes. The full text of the accountability policy is posted here.